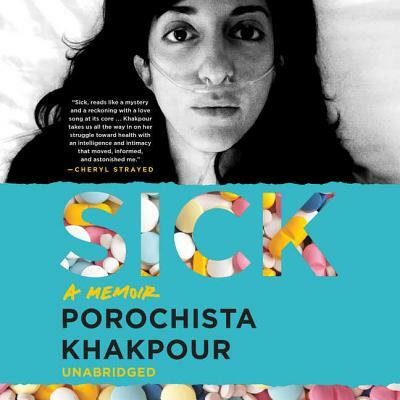 For as long as writer Porochista Khakpour can remember, she has been sick. For most of that time, she didn't know why. All of her trips to the ER and her daily anguish, pain, and lethargy only ever resulted in one question: How could any one person be this sick? Several drug addictions, three major hospitalizations, and over $100,000 later, she finally had a diagnosis: late-stage Lyme disease.Sick is Khakpour's arduous, emotional journey--as a woman, a writer, and a lifelong sufferer of undiagnosed health problems--through the chronic illness that perpetually left her a victim of anxiety, living a life stymied by an unknown condition.Divided by settings, Khakpour guides the reader through her illness by way of the locations that changed her course--New York, LA, New Mexico, and Germany--as she meditates on both the physical and psychological impacts of uncertainty, and the eventual challenge of accepting the diagnosis she had searched for over the course of her adult life. With candor and grace, she examines her subsequent struggles with mental illness, her addiction to the benzodiazepines prescribed by her psychiatrists, and her ever-deteriorating physical health.A story about survival, pain, and transformation, Sick is a candid, illuminating narrative of hope and uncertainty, boldly examining the deep impact of illness on one woman's life.